Nearly 610,000 Americans die of heart disease every year. That’s one out every four deaths. According to the Centers for Disease Control, heart disease is the leading cause of death for men and women and claims more lives each year than cancer. Although some people are born with certain heart conditions that they treat throughout their lives, most people are unaware they are at risk for heart disease. Luckily, there are many preventative steps you can take to lower your risk of heart disease. The most prevalent cause of heart disease is atherosclerosis. This condition develops when harmful plaque (fat and calcium) accumulates in the walls of the arteries. Plaque stiffens and thickens these vessels, which makes it harder for blood to flow through the body at a normal rate. When the heart is deprived of blood flow for enough time, a heart attack results. Taking steps to control these risk factors can greatly reduce your chance of developing a heart condition later in life. Losing just a small percentage of your body weight can cut down the stress on your heart. Choose a workout partner with similar health goals and get moving to keep your heart healthy. If it’s been a while since you’ve exercised, the American Heart Association recommends starting slowly and gradually working up to more vigorous exercise. 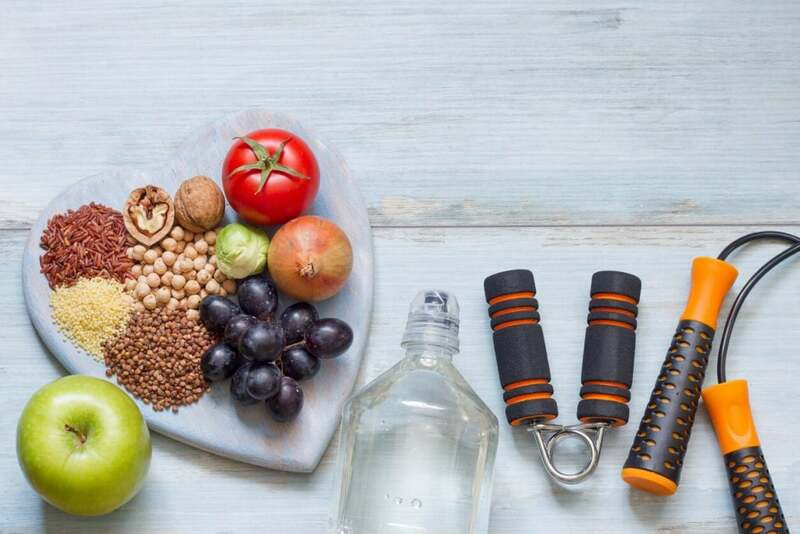 Your cardiologist will tell you how much exercise to aim for each day, which activities to try or avoid, when to take any medications and any warning signs to look for. Your cardiologist also can refer you to a certified fitness trainer who can set the stage for optimal results. Make sure to set yourself up for success when starting an exercise regimen. By pushing yourself too hard, you run the risk of feeling overwhelmed by the workout and are more likely to quit in frustration. Warm up slowly by gently easing into your workout before reaching your maximum heart rate. Cool down by gradually slowing your pace until the workout is finished. By suddenly stopping and sitting or lying down, you’re more likely to get dizzy or light-headed and possibly feel heart palpitations. Mix up your cardio routines often to fight boredom. By now, most of us know that certain foods, especially those loaded with fat and sugar, are unhealthy for the heart. Even with that knowledge, it’s hard to change years or decades of unhealthy eating patterns. If you’re dedicated to making dietary changes to help your heart, try the following heart-healthy eating strategies. Portion sizes have exploded over the last couple of decades thanks in part to eating out in restaurants. Use a small plate or bowl to control your portions, and fill it with healthier low-calorie food like fruits and vegetables in place of high-fat and high-sodium foods. Keep in mind that a serving size of meat is only three ounces – about the size of a deck of cards. Pasta and rice servings are half a cup each. Fruits and vegetables are loaded with vitamins and minerals that have heart-healthy nutrients. Low in calories, fruits and vegetables are high in dietary fiber and can help fill you up in place of high calorie, unhealthy choices. Foods high in fat raise cholesterol levels that contribute to the buildup of plaque in the arteries. The American Heart Association recommends that saturated fat should make up no more than seven percent, or 14 grams, of your daily calorie intake (in a 2,000 calorie per day diet). The best way to reduce unhealthy fats is to limit your intake of butter, shortening and margarine. Trim excess fat from meat before cooking to further reduce your intake. Avoid food with trans-fat, which is shown as “partially hydrogenated” on food labels. Replace these unhealthy fats with polyunsaturated and monounsaturated fats found in nuts, seeds, fish, avocados, olive oil and canola oil. If you’re ready to combat heart disease, call Park Avenue Medical at 212-427-2000 or visit our website for a same-day appointment today.